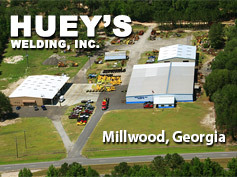 About Huey's Welding - Huey's Welding, Inc. Finally a welding and fabrication contractor you can count on! HWI has certified welders to ensure quality fabrication and repairs at competitive prices. Current projects include class one and short line railroads, as well as private contracting. We provide service on all ballast regulator components and on all models of regulators. Contact us today for price quotes on repairing your component, or to check on exchange availability.